Measure calls to end aid until PA stops incitement and condition it on acceptance of Jewish state, slamming Obama for executive transfers. There is a push in the US Congress to cut over $5 billion in US aid to the Palestinian Authority (PA), so as to punish it for its open incitement that has fueled the current wave of Arab terror in Israel that has seen at least eight Israelis murdered. Representative Martha McSally (R-AZ), who is a retired Air Force colonel, submitted the proposal which seeks to block US taxpayer funds from being transferred to the PA in light of its calls for terror. 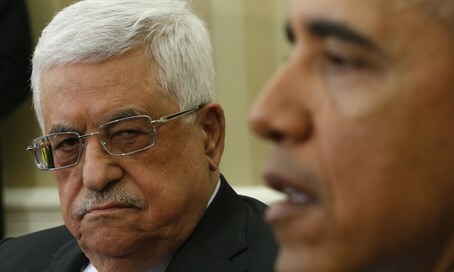 The measure, which was revealed by Washington Free Beacon late Friday, demands US President Barack Obama's administration voice stronger condemnation against Arab terror against Israel, and condition aid to the PA on the PA's acceptance of the Jewish state. It "demands, as a condition of continued United States aid...that the President re-certify that the Palestinian Authority government, including all ministers, has publicly accepted" Israel's right to exist. In a direct call for action, the measure calls to "freeze all United States funding to the Palestinian Authority until their leaders openly increase efforts to end their incitement of violence." The resolution condemns the way in which the Obama administration has continued to use executive authority so as to continue sending funds to the PA and keep it afloat amid massive debt, despite the open support for terrorism expressed by the PA. Specifically the text expresses concern "about the use of national security waivers to continue supplying aid to the Palestinian Authority." The measure also calls not to fund a PA unity government containing members of the Hamas terrorist organization. The US has continued working with the unity government formed after a unity deal in April 2014, claiming no Hamas members were in the government, when in fact at least one was formerly a minister in the Hamas government. Obama's administration has been sharply criticized for the way it has condemned Israel for the current wave of Arab terror targeting its civilians and security forces. US Secretary of State John Kerry blamed the terrorism on "Israeli settlements" in an interview last Tuesday, a statement his spokesperson John Kirby later tried to backtrack on. Kirby himself had to issue a semi-retraction after falsely blaming the terrorism on Israel for changing the "status quo" on the Temple Mount last Wednesday, and likewise delegitimizing Israeli self-defense by claiming there are "credible reports" of Israeli "excessive force." In response, Republican presidential candidate Senator Ted Cruz (R-TX) last Friday demanded Kerry's immediate resignation.